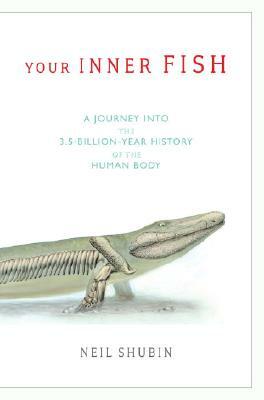 Neil Shubin, a leading paleontologist and professor of anatomy who discovered Tiktaalik—the "missing link" that made headlines around the world in April 2006—tells the story of evolution by tracing the organs of the human body back millions of years, long before the first creatures walked the earth. By examining fossils and DNA, Shubin shows us that our hands actually resemble fish fins, our head is organized like that of a long-extinct jawless fish, and major parts of our genome look and function like those of worms and bacteria. Shubin makes us see ourselves and our world in a completely new light. Your Inner Fish is science writing at its finest—enlightening, accessible, and told with irresistible enthusiasm. NEIL SHUBIN is provost of The Field Museum as well as a professor of anatomy at the University of Chicago, where he also serves as an associate dean. Educated at Columbia, Harvard, and the University of California at Berkeley, he lives in Chicago.